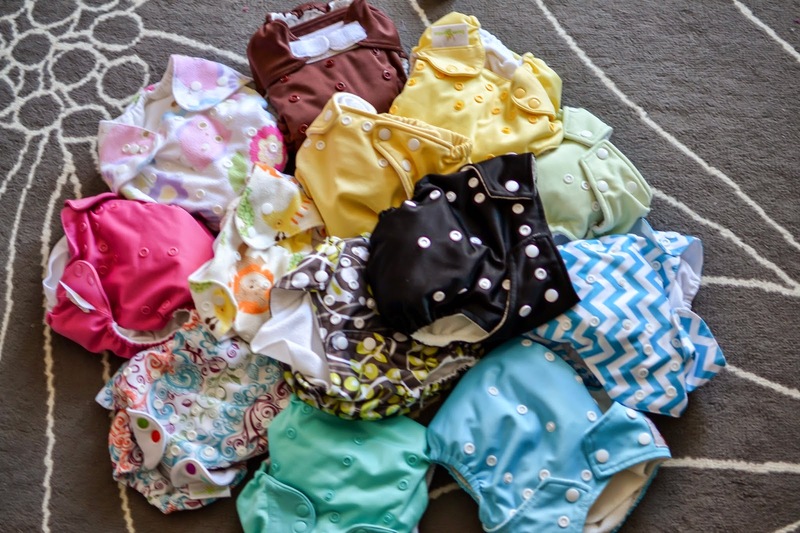 Over the next several weeks we will explore everything a cloth diapering newbie needs to know before they start, and don't worry we'll take it slow. 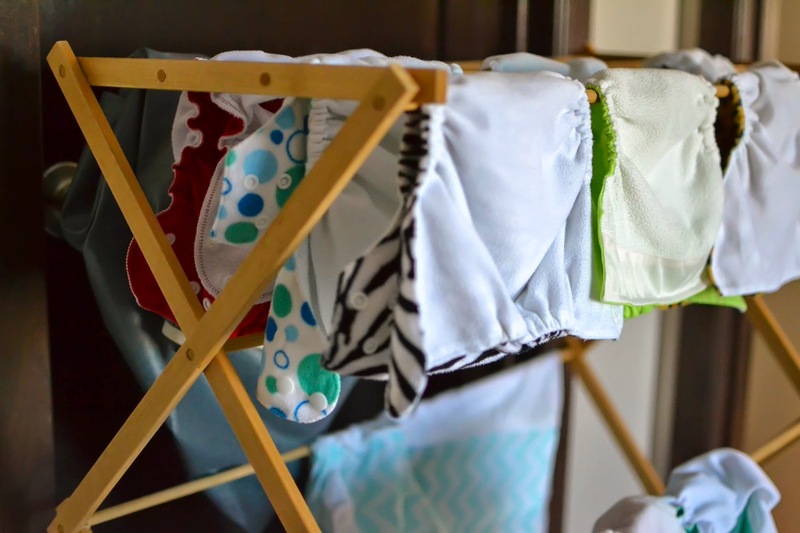 Cloth diapering is not right for every family or situation. Even I use disposables sometimes (Gasp! ), but I applaud you for even thinking about giving it a try. Before I begin I should start with a disclaimer. Cloth diapering can be very addictive. Many wonderful strong-willed women have been known to be overcome by a strong desire to buy every cute piece of fluff (diaper) they pass, and can be found talking passionately and incessantly about cloth diapering to all they meet. If you are willing to take your chances, let's begin. -To Save the Earth: It can take over 30 years for a single disposable to break down in a landfill. Manufacturing of disposables take 20 times more raw material and twice as much water than cloth diapers. -To Protect Your Child: Disposable diapers are full of toxic chemicals including Dioxin (a carcinogen recognized as dangerous by the EPA and banned in many countries outside the US), Sodium Polyacrylate (an absorbent material that is no longer used in US feminine products due to safety concerns), Trybutil-Tin (known to cause hormonal imbalances , VOCs (known by the EPA to cause kidney, liver, and central nervous system damage), fragrances, dyes, plastics, and petroleum. -To Save Money: On average families spend $2000 dollars per child on diapers. I only spent $700 on my stash buying mostly pockets, all-in-ones and separate newborn diapers. There are many moms who spend much less than this. 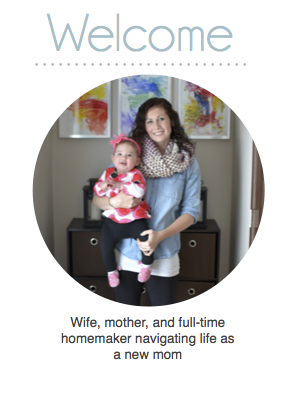 The best part is you can reuse the diapers for subsequent children leading to HUGE savings. Check out Squawk fox to see some great graphs on how much you could save. -To Make Potty Training Easier: Potty training is tough for anyone, but it is even harder for children who wear disposables. Due to the absorbency and chemicals in the diapers they are unable to feel when they are wet. Babies who wear disposables tend to naturally potty train around 36 months, whereas cloth diapered children tend to potty train around 18 months. 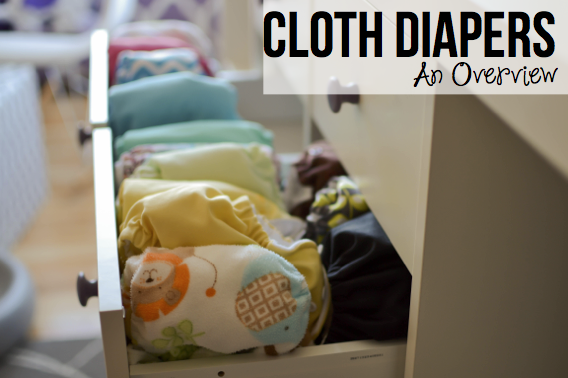 Before one can delve into cloth diapering you need to know the vocab. Fluff - a cutesy way of saying diaper. Diaper Cover - a waterproof outer shell that is worn over certain types of diapers. It is normally made of PLU or TPU. Both are plastics. There are also fleece and wool covers for the more natural moms. Insert - The absorbent layers of the diaper. They can be attached or separate from the diaper shell. Often made of microfiber, fleece, bamboo, or hemp. They come in a variety of shapes and sizes. Doubler - an extremely absorbent insert that is usually added in addition to the regular inserts for bedtime or naps. Double Gusset - an added piece of material around the legs to help hold in poo. Awesome feature that prevents blowouts. I have never had a blowout using any cloth diaper. This is a great plus to using cloth. Aplix - a hook and loop closure that most people refer to as velcro. Snappi - A type of fastener often used instead of diaper pins. It is made of a stretchy material, and has three arms to grab fabric. It helps keep prefolds, flats, fitteds and contours closed. Which Diaper is Right For Me? I will write a much more in-depth post on cloth diaper types soon, but for now here is a very quick overview of the different types. Flat - Grandma's cloth diaper. A large cotton sheet, similar to a dish cloth, that needs to be folded, fastened, and covered with a waterproof diaper cover. Prefold - A flat piece of fabric with many absorbent layers down the middle. Needs some folding, to fastened with pins or Snappi, and covered with a diaper cover. Contour - Hourglass shaped cloth that requires a cover and pins or Snappi. Fitted - Looks like a disposable diaper, may contain snaps or aplix. Still requires a waterproof diaper cover. Pocket - Waterproof cover with a liner that can be stuffed with absorbent inserts. Looks like a disposable and can be sized or one size. All-In-Two - A waterproof outer shell with reusable snap-in or lay-in inserts. Can be used with disposable liners. Looks like a disposable and comes with snaps or aplix. All-In-One - Most like a disposable. Has a waterproof shell with connected absorbent interior. Comes in sized and one size. Closes with snaps or aplix. Remember that just because you want to use one type of diaper does not mean it will work for your child. Diaper Pail - A container in which to put dirty diapers. We just use a metal trash can fitted with a reusable pail liner. Pail Liner - This is essentially a reusable trash bag that you can place your dirty diapers in when you are at home. It can be washed right along with your diapers. Snappis - A must, in my opinion, if using flats, prefolds, fitteds, or contours. These diaper fasteners grab onto the fabric of the diapers with little teeth and keep the diapers closed and snug. No need for diaper pins anymore. Diaper Sprayer - Attaches to your toilet and sprays off messy poos before you put your diapers in the wash.
Cloth Safe Diaper Rash Cream - If you need to use diaper cream make sure it is cloth diaper safe. Coconut oil is a great starter. If it is not cloth diaper safe your diapers will repel liquids instead of absorbing them and you will end up with a wet mess. Again this is a topic that I will write more about later and will outline my wash routine, but in the meantime there are a few things you should know. Detergent - For the most part your average grocery store laundry detergent will not do the job. You need to have a low suds detergent, free of optical brighteners. Pinstripes and Polkadots and Diaper Jungle have some great charts on which detergents work best. Washing Machine - I have found that top loaders tend to be easier to use. You can use front loading HE washers as well, but it requires a lot more trial and error. I know that I am still perfecting my wash routine with my front loader. Solids - Breastfeeding solids are water soluble, so you can throw your diapers straight into the wash. If your child is formula fed or has started solid food you will need to get rid of the solids with a diaper sprayer or some other method before you wash your diapers. Smell - If your diapers start to smell there is probably something wrong with your wash routine and it is time to reevaluate. Prepping - Before you can use your new cloth diapers you need to prep then properly, so they can absorb the maximum amount of liquid. There you have it. Now you know a little bit about the cloth diapering world, and next week we will dive into the different types of cloth diapers.